The quote above is taken from Professor Niyi Osundare’s poem titled “My Lord, Please Tell Me Where To Keep Your Bribe?” The poem was first published on 26th October, 2016 by Premium Times. Ever since then, the poem went viral on the internet space both nationally and internationally. This is a poem written in 2016, but its popularity and messages as they pertain to corruption at the Bar and in the Bench in the line of the official duties of judges and lawyers remain evergreen. The poem, in its own right, is an indictment of the judiciary (both at trial and appellant courts) and the Nigerian Bar Association (especially lawyers in practice) as sponsors, promoters, principals and unrepentant agents of corruption in our justice system. The poem is a graphic, satiric representation of the rot and corruption in the judiciary and the legal profession in Nigeria. One could refer to the poem as a raconteur of the past, present and future corrupt and unprofessional practices in the Nigerian judiciary and legal profession. The subsequent prosecution, conviction, suspension and/or compulsory retirement of some judges and/or senior lawyer(s) have portrayed Osundare’s poem as not only a prophecy, but also a premonition pertaining to the judiciary and legal profession in Nigeria. The poem is a lamentation, elegiac presentation of judges and lawyers that should ordinarily be the last hope of the common man (as ministers in the temple of justice) as an embodiment of corrupt individuals who are ready to pervert justice for money. Except for the two line chorus (My Lord/Please tell me where to keep your bribe), the whole of the poem is made up quatrains. There are twenty-one (21) quatrains all together— nineteen (19) of which are wholly directed at the corrupt judges, while the remaining two are directed at the corrupt judges and lawyers jointly. As one may ask that who or what are the termites of graft? I will simply say the corrupt judges and lawyers, together with all other officials involved in the administration of justice are the termites of graft Osundare speaks of. The court is metaphorically the temple of justice, and judges and lawyers are the ministers in that temple. The common man is the one that approaches the ministers in the temple of justice to ensure that justice is done. But now, every brick of that temple is broken and its roof is hugely perforated. What Osundare opines, which I fully align with, is responsible for the dilapidated (hugely corrupt) state of the temple (court) are the termites of graft (corrupt judges and lawyers). In the poem, Osundare creates a dramatic scenario of an ambitious litigant that is interfacing with a corrupt judge. The litigant plays two major roles. The first is acting as a (corrupt) litigant who is out to bribe a corrupt judge with a huge sum of money so that he can gain (undue) advantage in respect of his case(s) that is/are pending before the corrupt judge. The details of this can be found in stanzas 1 to 7 of the poem The second is acting as the conscience and mouthpiece of a society whose judges and lawyers are strikingly corrupt— an attitude that has led to unimaginable perversion of justice. The details of this can be found in stanzas 10 to 24.
r. Bringing about endless decomposition of our common soul (stanza 24). As it pertains to the corrupt lawyers and the NBA, Osundare qualifies them as the ‘venal lawyers’ and the ‘conniving Bar’. In other words, the role the corrupt lawyers play in the chain of corrupt practices is conniving with the corrupt judges and eventually facilitate corruption or gratification. From all indications, the poem is more than just another work of art or a display of Osundare’s poetic prowess. It is a social reformist, a legal activist and an investigator that opens the dirty diaries of ‘rapacious judges and venal lawyers’ in Nigeria. In law, some facts are said to be notorious because they are known to everybody. There is no need to prove allegations pertaining to this category of facts before the court relies on such facts. Also, there are some facts in law that the court can take judicial notice of. When this happens, it means that there is no need to prove allegations pertaining to those facts before the court takes judicial notice of them and relies on them. The third category of facts comprises facts that when they are alleged, the person that alleges them must prove them. This is the category that all the allegations of corruption made by Osundare against the judges and the lawyers fall into. Osundare has obviously not proved them, but can we can time and Providence have justified Osundare on these allegation? My answer as a lawyer is an emphatic YES! Osundare’s poem could be said to have been influenced by the recommendation for dismissal of Justice Muhammad Yunusa who by himself said that it was unethical to collect money from lawyers whose cases were pending before him. He was found to have collected the sum of N750,000 (Seven Hundred and Fifty Thousand Naira) from Joseph Nwobike (formerly SAN) and the sum of N1,500,000 (One Million Five Hundred Thousand Naira) from Ricky Tarfa SAN. Between the time Osundare wrote the poem and now, a good number of judges and senior lawyers have been confronted with allegations of corruption. Justice Adeniyi Ademola was recommended to the President Buhari on 7th December, 2017 for compulsory retirement by the National Judicial Council (NJC) for an allegation of judicial corruption and misconduct which the NJC said was proved against him. This was confirmed by NJC’s Director of Information on 8th December, 2017. Justice Ofili-Ajumogobia on her own part was recommended for removal by dismissal from office as a judge. This was also confirmed by NJC’s Director of Information in his statement dated 5th October, 2018, wherein he stated that “several personalities, individuals, government officials and business partners lodged funds into various accounts belonging to the Hon. Judge.” In a similar development, Justice Agbadu-Fishim was recommended for removal by dismissal upon confirmation that he received various sums of money from litigants and lawyers that had cases before him on the ground that he was bereaved. The suspended Chief Justice of Nigeria, Justice Walter Samuel Onnoghen, is presently standing trial at the Code of Conduct Tribunal and also before the NJC for false declaration of assets and failure to declare a domiciliary (US Dollars) account and a domiciliary (Euro) account, among others. Apart from Joseph Nwobike (who has now been stripped of his SAN status upon being found guilty, inter alia, of paying money into Justice Muhammad Yunusa’s account while some of his cases were pending before him and eventually convicted), other Senior lawyers who have also been accused of and have stood or are standing trial for allegations of corruption include the NBA President, Paul Usoro SAN, Ricky Tarfa SAN and Joe Agi SAN. I have at all times held the view that coincidences are more than what the eyes meet. Could it be a coincidence that ever since Osundare came up with allegations against corrupt judges and lawyers, there have been actual allegation, prosecution and/or investigation of some lawyers and judges for acts of corruption? The recent events have shown that indeed and in truth the Nigerian Judiciary and the legal profession have a handful of, to use Osundare’s term, ‘rapacious judges and venal lawyers’ who are consistently perverting the course of justice to their selfish gains and to the detriment of the common good. They have gone and they will still go any length to ensure that arm-twist the course of justice. The Nigerian judges and lawyers in the eye of Osundare are part and parcel of corruption that has now eaten the country ‘deeper into the hellish hole’. 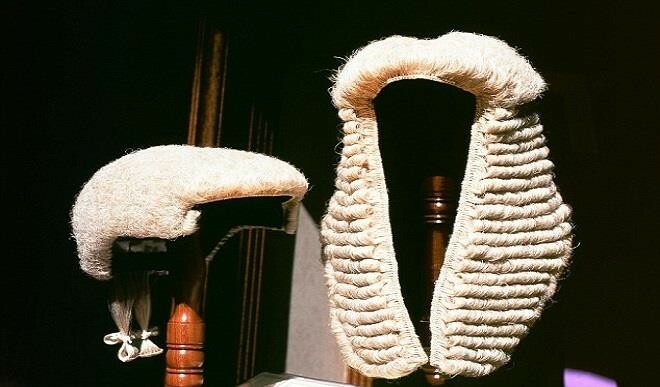 For the Nigerian Judiciary and the legal profession to redeem their already tainted names, the NJC, the NBA, the Body of Benchers, the Body of Senior Advocates in Nigeria (BOSAN) and the Council of Legal Education have serious roles to play. Roles that if not meritoriously taken or if taken out of sentimental considerations, will come to haunt the nobility of the legal profession that appears to be diminishing in a geometric progression. Previous articleMy Grouse: My Lords are Very Stingy – Ask Them for Injunction, They Give Status Quo. Is Judiciary Ready for 2019 Polls?